generating outfits with items you have in your closet. Bunny like a hawk after her surgery to get spayed . a sigh of relief that last night she ate her hay! to spend a day playing with the Cladwell App. and were easy to load from online sites where I purchased them . a real time saver to add in similar styles from their pre loaded options. These are all preloaded options similar to items I have. your own looks, but this is one I put together myself. my fondness for tone on tone looks is going strong. it to my Favorites to wear later. appropriate looks for the day. Ypu can also choose items for Capsules to remix and wear. proportions , but it offers the opportunity to change pieces in the look. All in all I like this more than I thought I would. kimonos, jackets or cardigans over top of them. went to watch a dress rehearsal and got home at 10pm…. screenshot them on my Ipad for ease and a quick way of posting…. was one I would love to imitate in the future. two shades of grey with a brown jacket is a nice option. and I for one am happy about that! grey is right up my alley! and a touch of cognac in the belt and boots, but I like it. and a patterned scarf would change that. to make this one work! styling that is a new thing, that I have not tried, yet. The accessories really take this outfit up a notch! You could add leopard shoes to this as well. Yet another neutral look that was so common in my search! I like the addition of the scarf in this one. Another way to incorporate it with Olive. An olive utility jacket or vest would be a good option too! so definitely felt I had to include this one. I also found several ways I have worn grey in the past. I have always loved Pinks and burgundy with grey. I wore in high school came rushing forth as I typed this! Charcoal with mint works well. I actually think a cobalt blue scarf if I had one, would do well here! This is a more neutral look that I tried out. High low shades of grey and a bit of lace work really well. So, how do you like to wear grey, do you prefer light grey or dark charcoal? Has this inspired you, comment and let me know? I am grateful that my youngest son 18, registered to vote today!! I am grateful my oldest son dropped by and was part of celebrating my son’s voting registration! I am grateful that my husband didn’t have an appointment until late afternoon. I am grateful that I got to go see the dress rehearsal of my best friends daughter’s play, Annie as I was going to miss the play this weekend! the real topic of conversation is wide leg crop pants. let’s face it , a curvy girl’s friend is wider leg options now available. one you will see me wear a few times this season. My tassle necklace is new as I really needed one in silver. much as my gold one by her line in a different style. over done it as I am wearing 3 pieces with fringe, lol. slightly longer pant leg, but I don’t hate it, lol! My Marc Fisher boots are new this season, as nothing is more fun than adding a fun color ankle boot into your style! My other two fringe pieces are the scarf and purse. I find they sell out rather quickly, especially with sales like the recent Labor Day one in which I purchased this one. 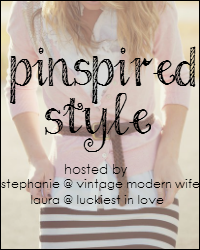 something my boho loving self-has sorely neglected. 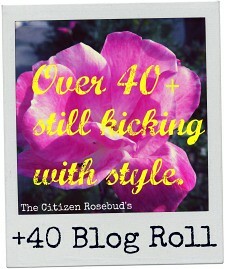 Pop on over to the Turning Heads blog link up to see several other bloggers and this one with lots of 50 plus bloggers! I am so grateful for answered prayers and signs from my sister, just when I need them! I am grateful that my son is having so much fun with bowling right now and is doing so well. He got a clean game meaning he got all Strikes and Spares recently that netted him a spot in Top 5 competition this weekend. I am so grateful for the boost to my son’s self-esteem with the bowling success, as the damage from his 6 years in school before I homeschooled him, still lingers. I am grateful to my friend for our movie days, as it is getting me out of the house more! those pieces that get a lot of use. It doesn’t get more basic than a striped top. On that note, my jeans embroidery nods to that too. This entire look is pieces I have had for a while. I am so outside my comfort zone with my current weight. I am heading back to Weight Watchers meetings tomorrow! and helped me stop my daily crying over the loss of my sister! Introducing the best therapy pet, ever! I may have to do an entire post on this precious baby. to be spayed for October 15.
spots from my genetic rarity of Cornea Dystrophy in November! How about browsing some other bloggers Here! as trends for Fall 2018.
ran to my closet to play around with it and find ways to style it. I have to say the buffalo plaid with floral is very appealing! It hits that ying/yang vibe of masculinity and femininity perfectly! so I ordered a small instead of a medium and it was the right call. and my bustline went from 42 inches to 38.5! and I don’t think I would have tried it with leopard print on my own. Definitely will give this a shot. but with the fabulous element of texture! in a larger scale print works well. Add of course we cannot forget a classic jean jacket. This is my outfit for the day. These Plum shade Jeans are by Diane Gilman, found here. Available in Petite, Regular and Tall. Please note that the color looks red or burgundy on HSN Site. I made for a group of my Style Sisters. Of Course I invite my dear readers to follow along too. or if it fits better with activities of the day. I think this embroidered kimono is my favorite. pond of my favorite assets and a rush of healing came over me. and one she wore quite often. was among the very first she made many years ago. The blue fish one , even has a darling fish clasp, lol. I have worn it on every length of silver chains I own. cold AC, so book-ended it with my white slip on Sneakers. I purchased on EBay a few years ago.